Production stages such as gestation, calving, weaning and breeding are especially important. During gestation and calving it’s critical to have good minerals to get cattle through that stress period. Cows that are mineral deficient can create a calf that is deficient at birth, which can result in ‘weak calf syndrome,’ loss of vigor or scours. Cows can’t tell if they do or don’t need minerals, but they do seek out phosphorus and salt, which can offer management tactics. Salt can be used as a limiting factor, or if the cows are salt deficient, as a driver of intake. Overconsumption of minerals should be regulated. Although it is likely not dangerous, it can be costly. Choosing minerals can be challenging. 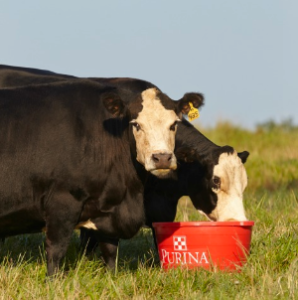 Learn tips to help you select the right ones for your cattle. This entry was posted on Monday, March 19th, 2018 at 9:44 am	and is filed under Uncategorized. You can follow any responses to this entry through the RSS 2.0 feed. Both comments and pings are currently closed.